at the bottom of the blue line. 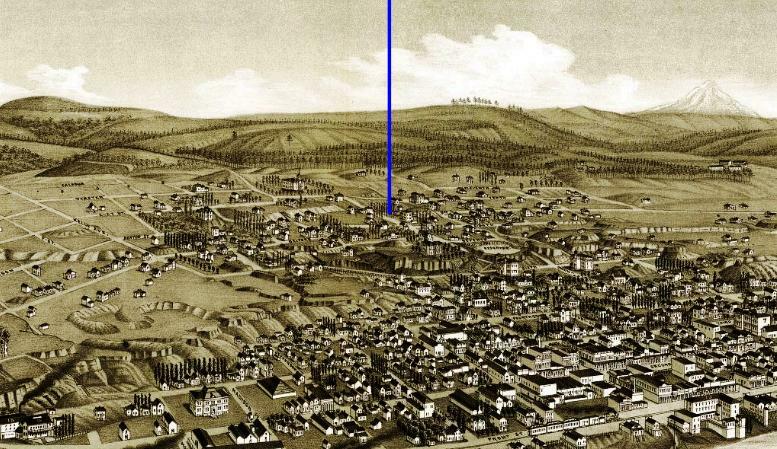 This is a portion of a bird's eye view of The Dalles drawn by J. J. Stoner. A full copy is located at the Library of Congress. Back to The Dalles entry.